Join the Révolution de l’Automobile honoring automotive design, unique craftsmanship, and passion. On June 2nd, escape into a world where classic elegance meets modern day innovation. The beautiful gardens of the Sherwood Country Club will host the highest caliber of car quality you have ever seen. This is a setting not normally available to the public, which means its also one not to miss. Founded by automotive enthusiasts Nick Lemieux and Derek Hill, Rév Auto exists to entertain and empower generations through artistry and innovation. 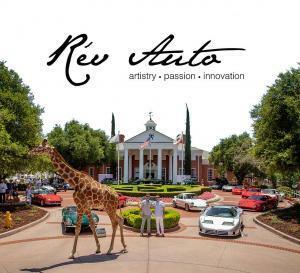 As the automotive world accelerates forward, Rév Auto strives to preserve an appreciation for the past while keeping an eye toward the future. This event is the best of the best and perhaps the most quality car show in Southern California. iDriveSoCal couldn’t resist participating in the fun last year, and you can read all about it here. We surely will be out again for the 2019 event, so look for us there. Luxury and exotics, plus lots of fun with your car friends. What’s not to love? Charitable donations raised by Rév Auto will help to support local programs such as the Westlake Village YMCA, St. Judes the Apostle School, and the Petersen Automotive Museum.